Are looking for a carpet cleaning service that is very professional with reasonable prices and will ensure that your home or office is 100% clean? 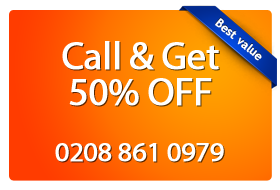 Magic London Carpet Cleaning in Vauxhall (SE1, SE11, SW8) provides the best quality services in carpet cleaning including steam, dry and deep cleaning. Our team of Vauxhall carpet cleaners are all veterans in the cleaning industry with many years of experience. We offer various carpet cleaning techniques, from dry cleaning to steam cleaning. Our carpet cleaners in Vauxhall (SE1, SE11, SW8) are all fully qualified, vetted and experienced. They are friendly and courteous and strive to deliver the fastest, most effective and best quality cleaning service. If you’d like to know about our carpet cleaning services as well as to book a carpet cleaning service, contact Magic Carpet Cleaning in Vauxhall!